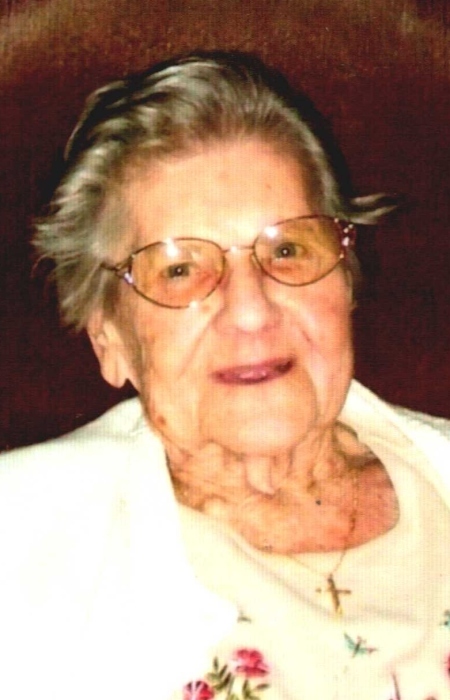 Marian Elsie Placek age 98 of Bridgeport passed away February 10, 2019. She is survived by her daughters, Kathleen (Charles) Martin, Joyce Pacek-Parnell, Joann (Wayne) Matthews, and Nancy Placek; son, Alan (Glenda) Placek; grandchildren, Matthew (Summer) Placek, Allyson Placek, Kym (Victor) Rangel, and Leeanne Placek; great grandchildren, Benji and Lily Placek, Savannah and Victor Jr. Rangel, and Isiah and Jackson Fernandez; sister, Rosemary Kostiwa; God Daughter, Jean Toppel; and cherished family friend Linda Gwin and multiple Nieces and Nephews. She was preceded by loving husband, Lawrence Placek; daughter, Janice Placek; son, Lawrence Placek Jr.; son in law, Clifford Parnell. Marian was a fantastic cook and baker. She delighted all visitors to her home with tasty treats. She loved to be outside working with her flowers, mowing grass etc. and spent time inside reading and working puzzle books and playing cards. Her faith in God was personal and strong to the very end. We honor her memory as children, family, and friends by being good, loving, and honorable people. In lieu of flowers donations to her favorite charity: St. Jude Children’s Research Hospital would be greatly appreciated. Their will be a graveside service at 11 AM on Wednesday February 13, 2019 at the Pinehaven Memorial Gardens.